PRICE REDUCED! Great home in Macala Acres conveniently located in Conway City Limits just off Hwy 378. 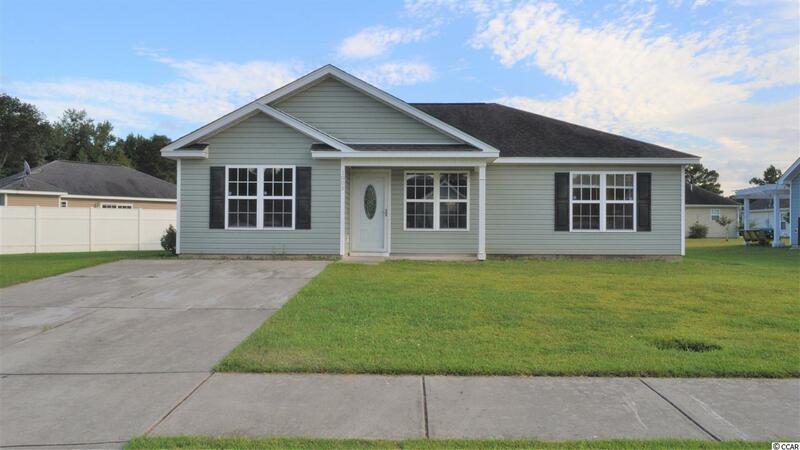 This split floor plan has 3 BR 2 BA with Southern Grey Oak laminate hardwoods, ceramic tile, and carpet. The master and one other bedroom have laminate floors while 3rd bedroom has carpet to reduce noise. The Master also has a tray ceiling with ceiling fan and a walk-in closet. Both baths and your laundry are where you will find your ceramic tile flooring. The living room has a built-in ceramic/wood entertainment wall, a cathedral ceiling with a ceiling fan, and connects directly to your dining area. The kitchen has been upgraded with granite counter tops, decorative ceramic back splash, and brand new stainless steel appliances. The appliances will have the one year manufacturers warranty remaining. Outside is a concrete patio with a 10 x 10 attached wooden deck. Off the patio is your outside attached storage. This irregular shaped lot gives you a lot of space with six different neighbors. This home has all the upgrades and then some. Perfect for anyone who wants less to care of, but doesn't want to give up all the upgrades. Measurements are approximate and should be verified by buyer. Owner is SC RE agent.